Known worldwide for its multiple sclerosis treatment product Sativex, GW Pharmaceuticals PLC (NASDAQ:GWPH) is a British biopharmaceutical company based in Cambridge, United Kingdom. It was founded in 1998 by Dr. Geoffrey Guy and Dr. Brian Whittle, after obtaining a cultivation license from the Medicines and Healthcare products Regulatory Agency (MHRA) and the United Kingdom Home Office, to cultivate cannabis and engage in scientific research concerning the medicinal uses of the plant. developed the first prescription medicine, derived from a marijuana plant, for the treatment of spasticity, sold under the trade name Sativex (delta-9-tetrahydrocannibinol and cannabidiol in the EU; nabiximols in the US). The product is now approved and sold in over 25 countries around the world and in 2011; the company formed a partnership with the pharmaceutical giant Bayer AG for the distribution of Sativex in the UK, with an estimated annual production of 100 tons of medicinal cannabis. 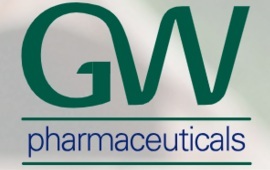 The GW Pharmaceuticals stock has soared above 50% so far in 2019 and analysts are overall bullish on it. Their latest FDA-approved product, Epidiolex, is expected to bring more good news to the company and make the stock a strong buy. Find out more about GW Pharmaceuticals and see what makes it one of the best marijuana stocks. gained 17.47% in 2017, compared to a gain of 19.40% for the S&amp;P 500. It also gained 14.61% over the course of two years (2017-2018) in comparison to a gain of 28.65% for the S&amp;P 500; and gained 354.46% over five years compared to a gain of 51.51% for the S&amp;P 500. Overall, the company has successfully launched numerous stock offerings to expand its balance sheet and portfolio. The average analyst expectation is for the company’s year-over-year earnings growth to reach 42% in 2019 and The Wall Street consensus has been settled to a one-year share price gain of over 35%. The stock jumped 20.5% in February, according to data from S&amp;P Global Market Intelligence, after the fourth-quarter results that were released turned out to be better than anticipated. For the two months in Q4 that Epidiolex was available in the U.S., sales reached $4.7 million, above the analysts’ prediction of around $3 million. broker. TradeFW.com is a licensed online stock broker authorized to operate by the Cyprus Securities and Exchange Commission (CySEC), which gives you access to trade this stock among many others. The firm is also fully compliant with the Markets in Financial Instruments Directive (MiFID) and covers you with negative balance protection. A safe trading environment like this should always be your top priority when investing in a cannabis stocks that is poised to expand over the next years. What distinguishes GW Pharmaceuticals from its peers? treatments, an approach that giants such as Johnson &amp; Johnson and Merck haven’t yet adopted. Epidiolex, their latest FDA-approved product, is a prescription medicine used to treat seizures associated with the Lennox-Gastaut syndrome (LGS) or Dravet syndrome in 2-year-old patients or older. As the first and only FDA-approved prescription cannabidiol to treat these two conditions, it is expected to register a great success starting from 2019. However, their star product remains Sativex, a pharmaceutical cannabis extract containing THC and CBD in a 1-to-1 ratio and many other compounds found in pot. Sativex comes as a peppermint flavored mouth spray and is mainly used to treat muscle spasms in people with multiple sclerosis. GW Pharmaceuticals (NASDAQ:GWPH) is British company publicly-listed and traded on NASDAQ and AIM. Its most known product is Sativex; while Epidiolex, the first marijuana-derived drug to receive the green light from the FDA, is projected to tally record sales for the company in the next couple years. The stock is viewed with optimism by experts and it is arguably one of the hottest picks in 2019.